September 18, 2010, part 1 of 1. Tonight we welcome Sonia, host of Canadian radio show "The Truther Girls" which broadcasts 3 days per week on American Freedom Radio. 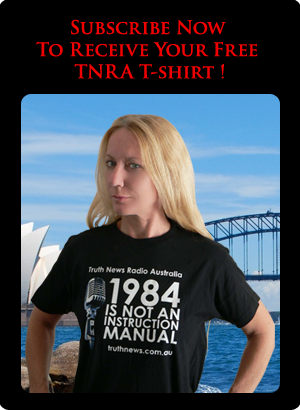 Sonia and her co-host Karen engage with many issues in common with TNRA. Our discussion tonight ranges from 9/11 truth, through vaccines and natural health, and into the spiritual side of the truth movement. Sonia gives her ideas on how people can deal with the paralysing effect of fear when trying to come to grips with the New World Order.